By popular request . 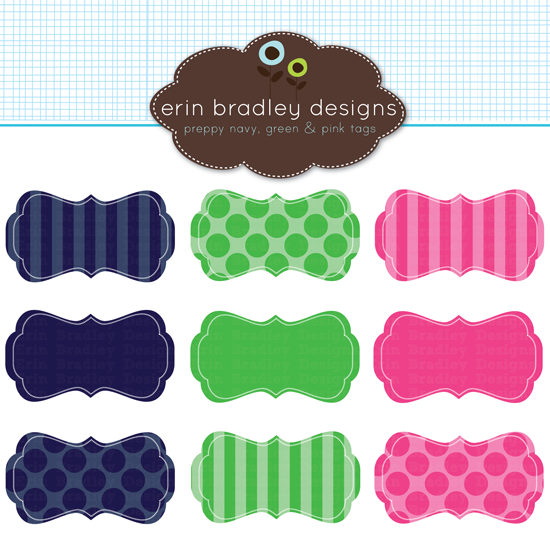 . . preppy navy blue, Kelly green & fuchsia pink solid colored, polka dotted and striped digital clipart journal tags! Available here for personal & commercial use.